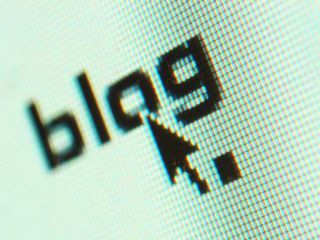 They say any fool can be a blogger and, judging by the standard of writing on some big-name sites, who's to argue? Still, we bet no one ever guessed Japan's latest online star would be a humble pot plant. The plant is question is a Sweetheart Hoya that goes by the name of Midori on the eponymous blog 'Kyo no Midori-san' ('Ms Midori Today'), where it really does seem to be contributing its thoughts. Midori can be found at Bowls Café in Kamakura, to the southwest of Tokyo, and is the public result of a project to examine how plants communicate using electrical signals. Through sensors connected to a computer and 'translation' software, Midori apparently churns out Japanese text related to how it's feeling. Entries include comments on the weather and asides like, "I'm sleepy today as I had to grow a new shoot." Regardless of the artistic licence used in interpreting the signals given off by the plant, the Midori blog has had the desired effect, with customers flocking to the café to see the experiment and appear on the Midori webcam. We also suspect Midori's Chumby that it uses to deliver new blog posts by RSS to café customers might be a bit of a draw too.